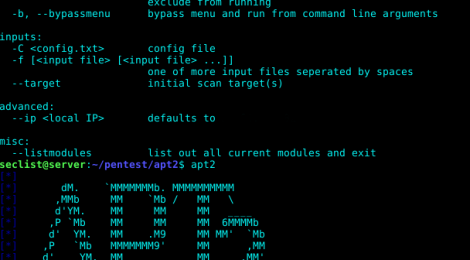 Browse: Home / apt2 v1.0.1 – An Automated Penetration Testing Toolkit. + fixed issues with misc data files and installing packages. + module: temp fix till I get time to do a better one. 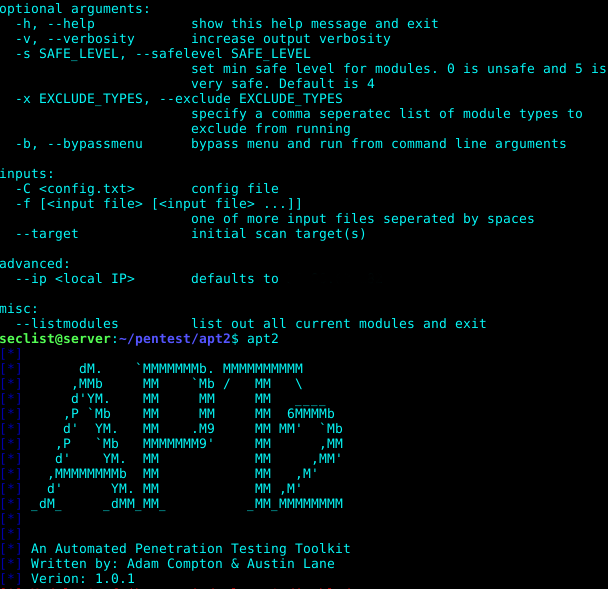 All module results are stored on localhost and are part of APT2‘s Knowledge Base (KB). The KB is accessible from within the application and allows the user to view the harvested results of an exploit module. 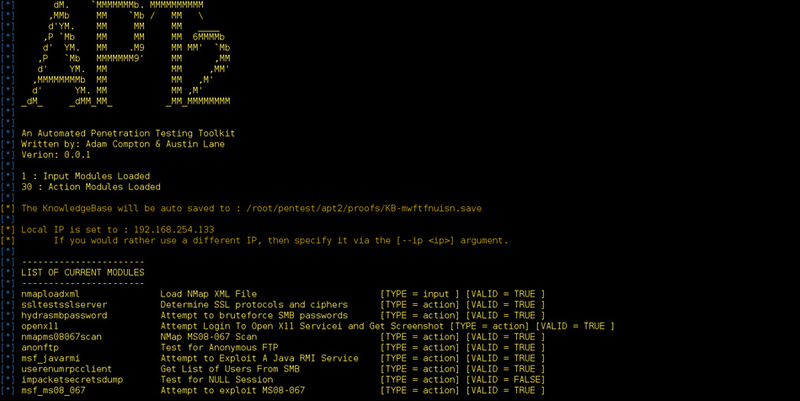 Usage of apt2 for attacking infrastructures without prior mutual consistency can be considered as an illegal activity. It is the final user’s responsibility to obey all applicable local, state and federal laws. Authors assume no liability and are not responsible for any misuse or damage caused by this program. 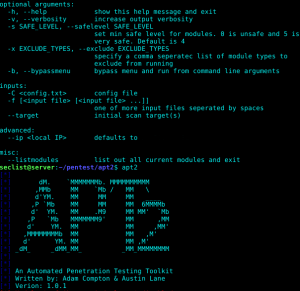 ← psad v2.4.5 – Intrusion Detection and Log Analysis with iptables.